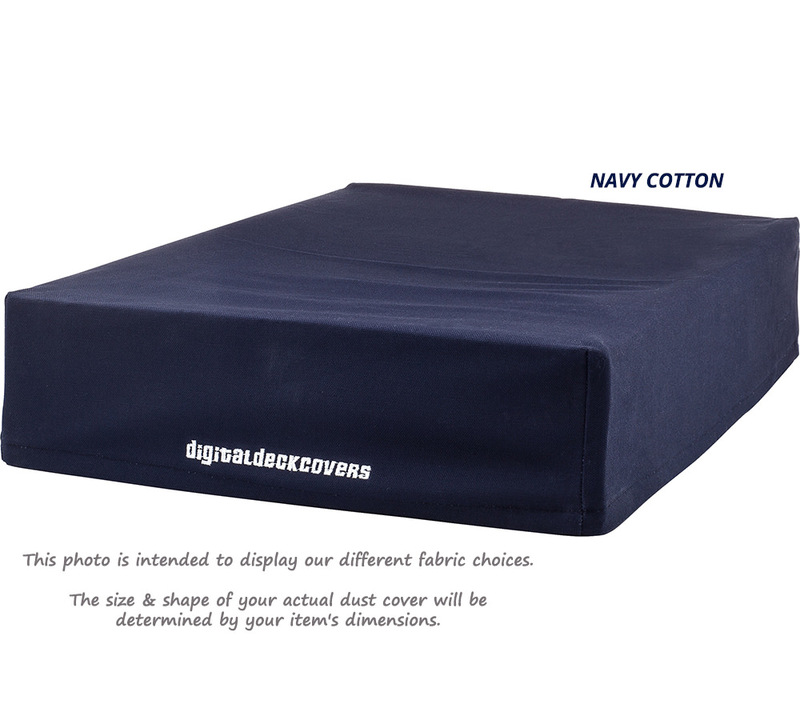 To ensure an extremely durable and strong dust cover, we use only high quality, anti-static fabric for our dust covers. 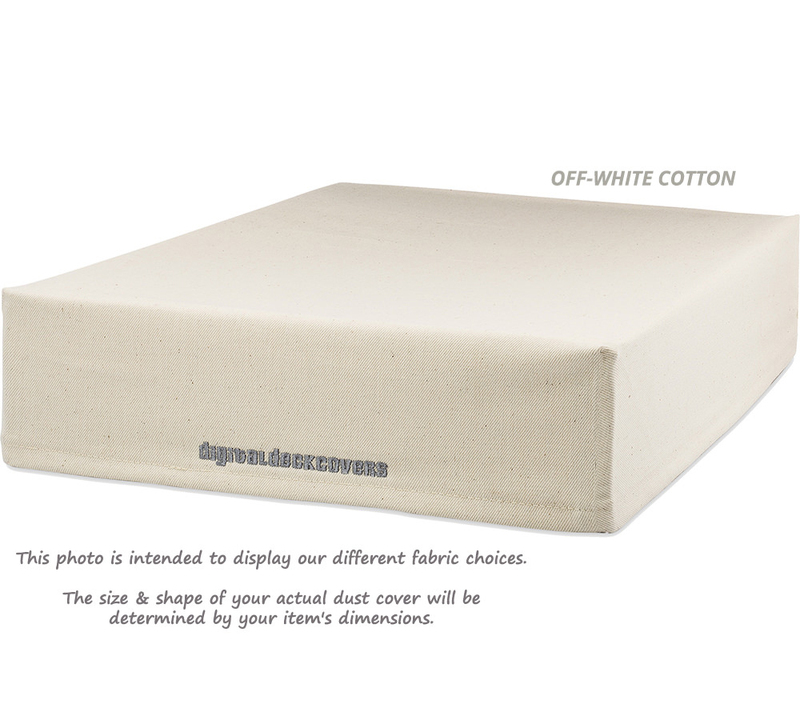 We do not use a thin cotton-twill material (that actually allows dust to seep thru) in only a couple of colors, or a thin, plastic-like opaque vinyl seen in those cheap, generic dust covers that discolors, dries out, and will tear or come apart easily. 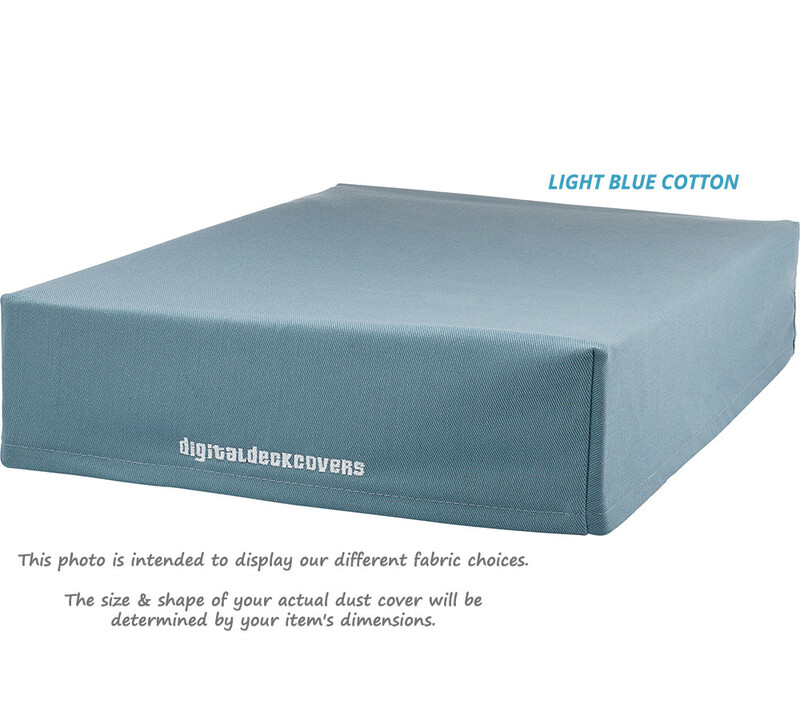 At DigitalDeckCovers™, we offer extremely durable and strong nylon dust covers made with PVC backing, or medium weight bull-denim cotton canvas, as well as an assortment of protective and stylish quilted and vinyl premium fabrics.... all in a variety of different colors! Among our materials, you'll find something to fit your every style and need since your expensive equipment deserves the best. All of our anti-static fabric dust covers are sewn with heavy duty thread to ensure your cover will never fray at the seams or come apart like those with more common binded openings, and the double hemmed bottom makes sure that your cover fits perfectly. 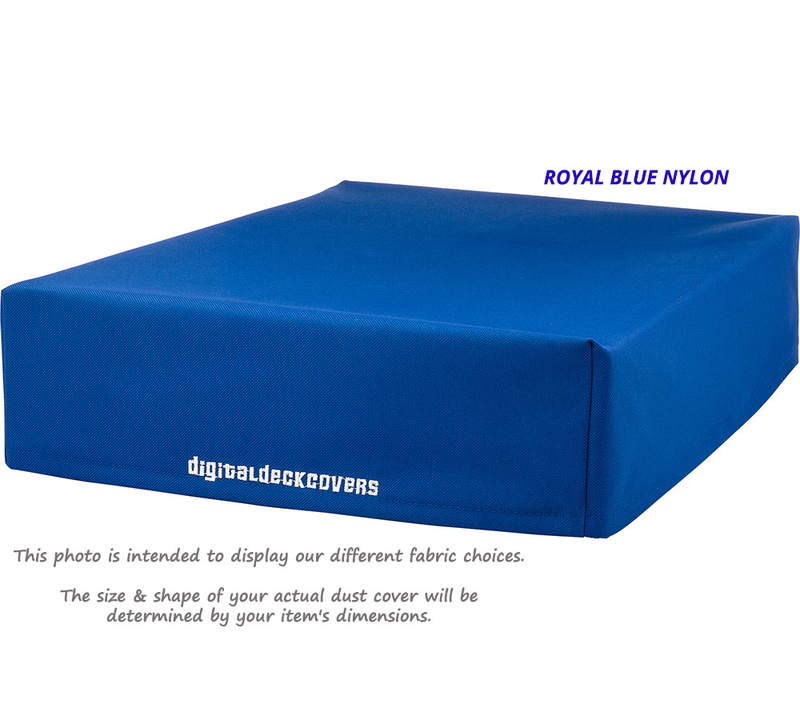 Each cover has an open bottom and slips over the top of your gear, which can easily be folded and stored when not in use. We are also happy to accommodate special requests like a slanted height, open or partial backs, and cut-outs/slits/flaps for cabling if desired. 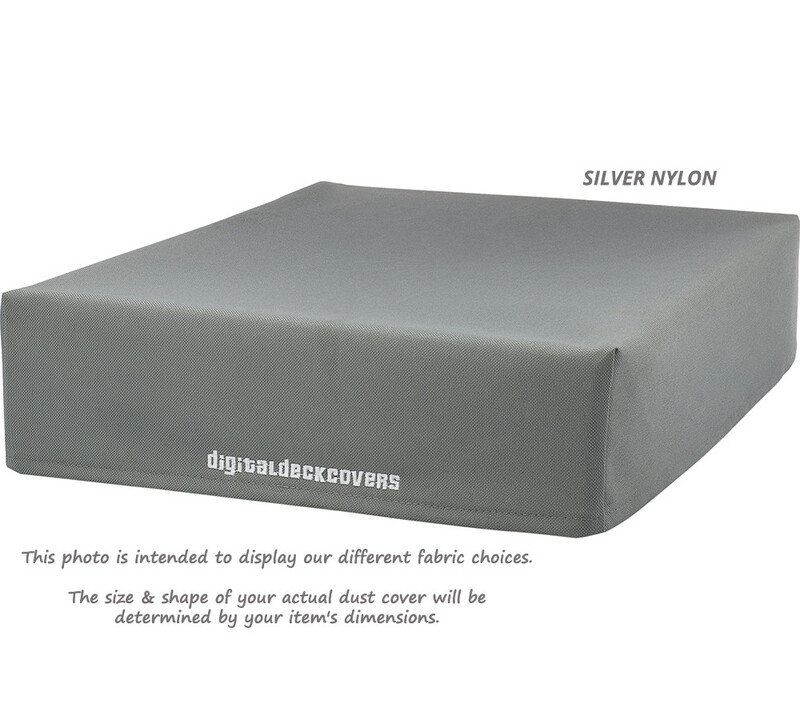 For additional information and photographs of our current dust cover fabric choices, please read the sections below. Our nylon dust covers feature a PVC vinyl underside. 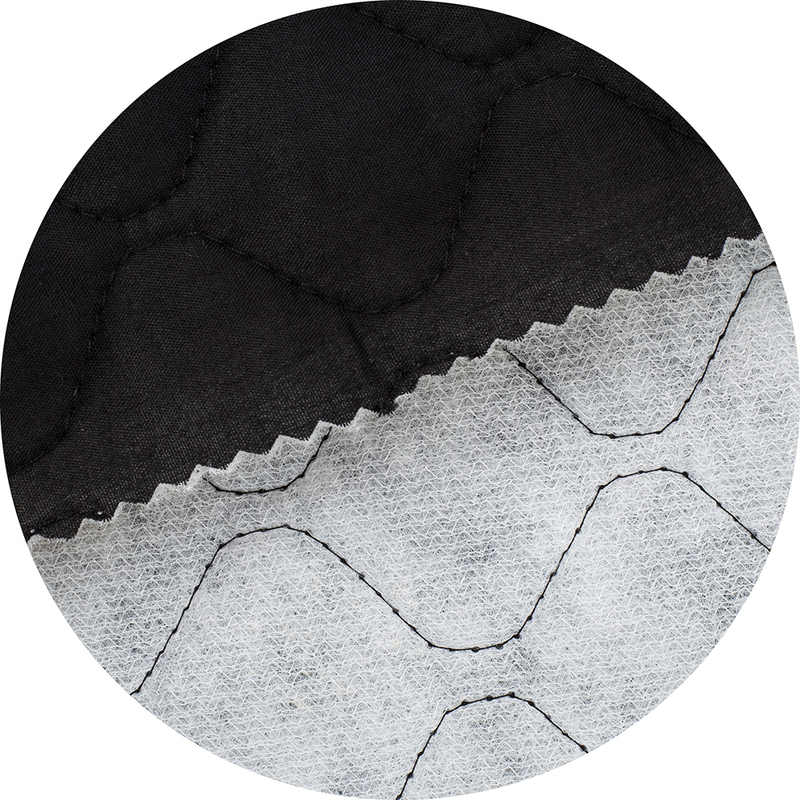 This backing provides a hidden barrier, so water just beads off and doesn't seep inside. Plus it's completely smooth so won't scratch the top of your gear. Nylon is easy to clean, simply brush off any dust or wipe down with a damp cloth. Our cotton covers are made from soft, but tough, bull denim. 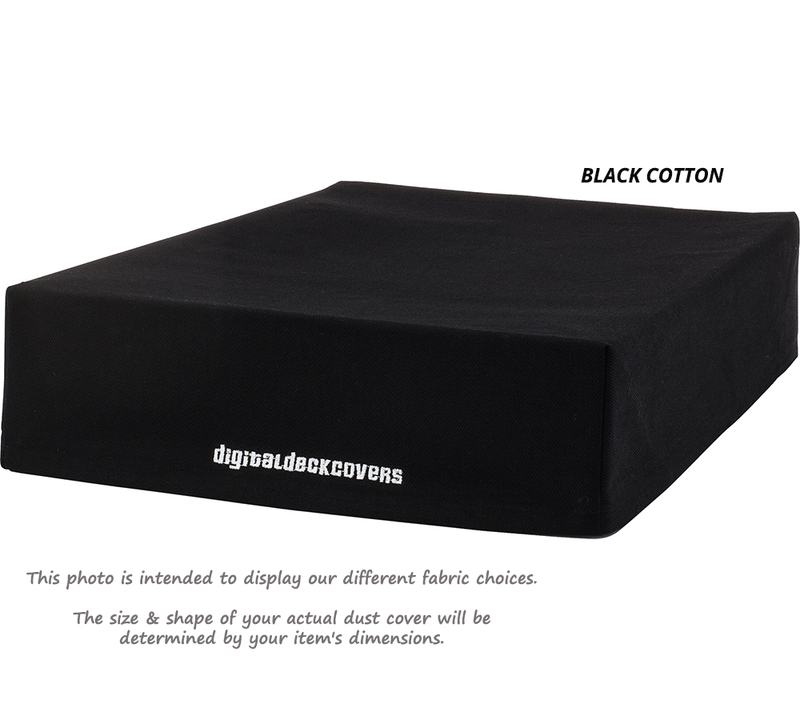 Cotton "breathes" more than nylon and vinyl fabrics, and might be a better choice if you are concerned with equipment overheating. 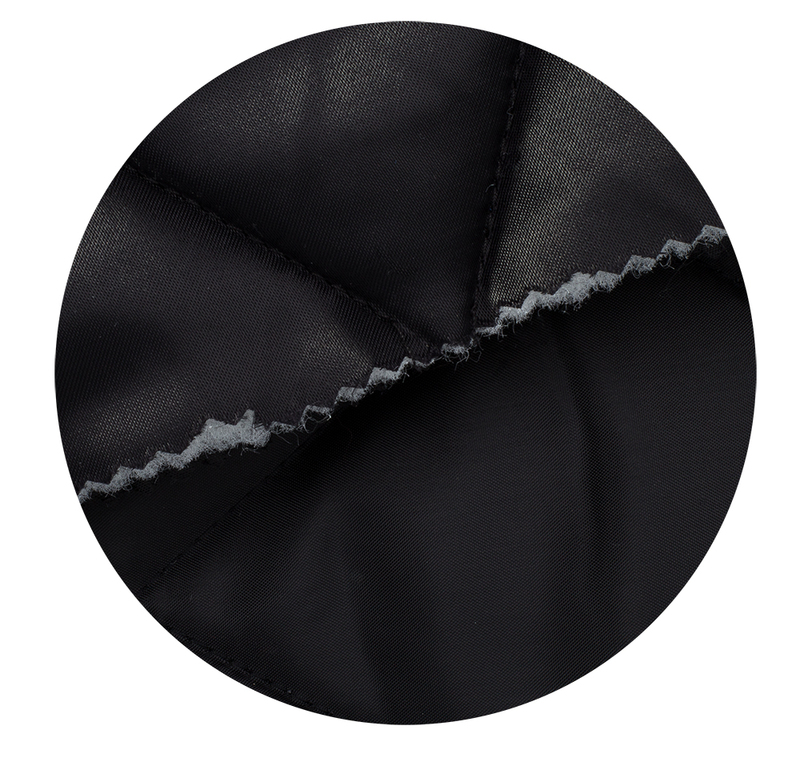 A medium-weight vinyl fabric that simulates the look and feel of leather with soft, fuzzy polyester (feels like flannel) underneath to softly cover and protect your equipment. 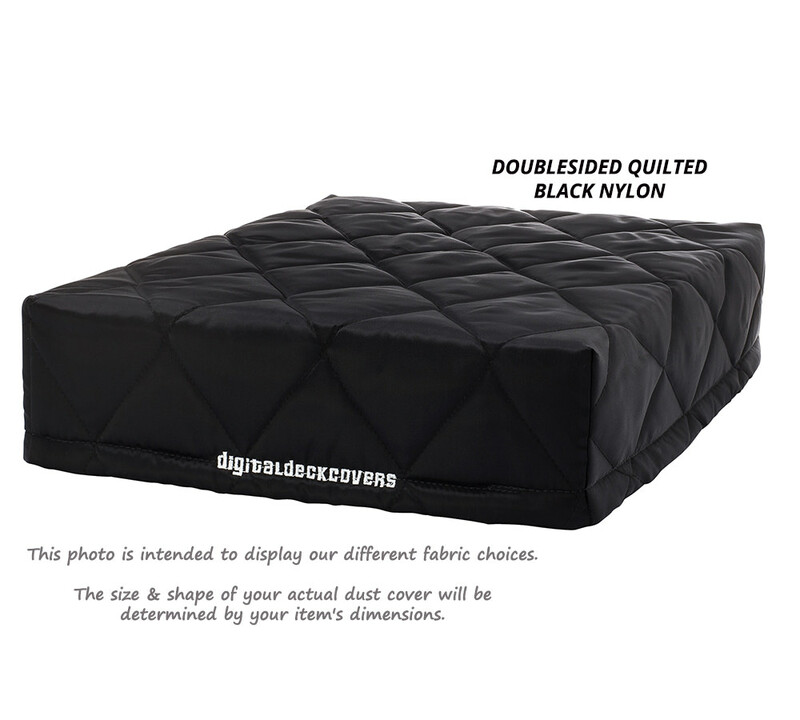 Lightweight, quilted cotton black fabric, with a classic diamond stitch design. 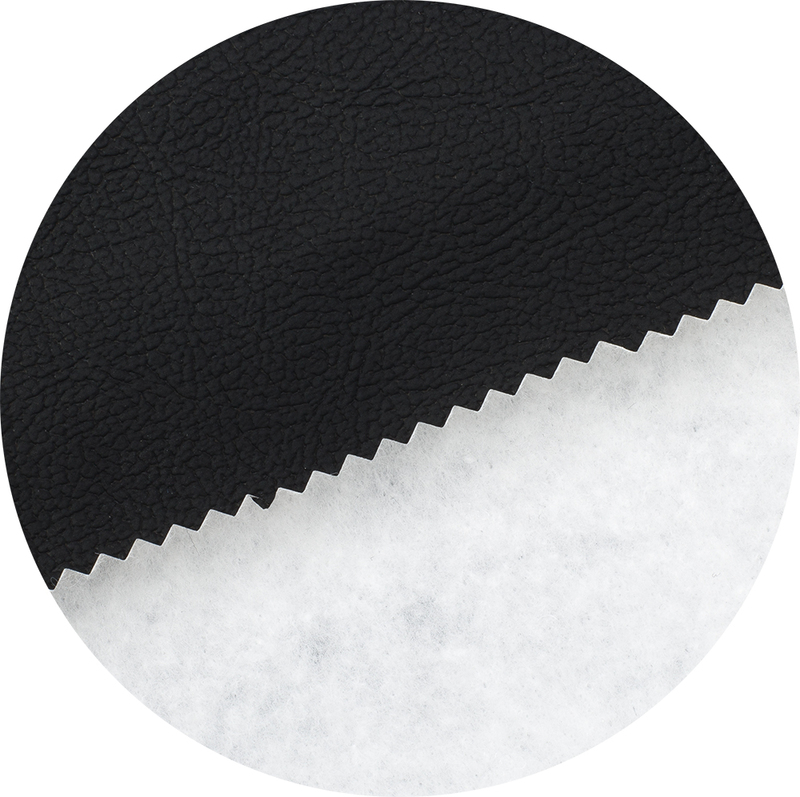 This dust cover fabric is single-sided and contains white polyester batting as thin padding to offer extra protection for your equipment. 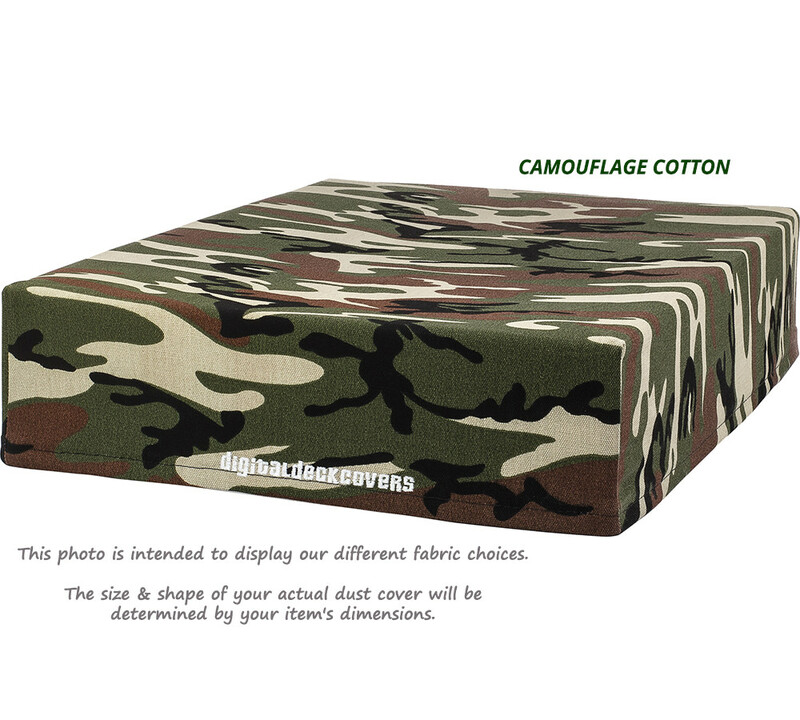 This ultra premium fabric has even more padding, and features a quilted satin nylon fabric on both sides, double-stuffed with polyester insulation in-between, giving you the ultimate in protection for your equipment.